Conform datelor publicate pe site-ul Autorității Naționale pentru Protecția Drepturilor Copilului și Adopției (ANPDCA), 245 de copii au fost lăsați în maternități și în alte unități de îngrijire a sănătății în primul trimestru al anului 2017. Conform acelorași date, anul trecut aproximativ 1.000 de copii au fost abandonați în spitale. Dintre cei 245 de copii rămași în unități medicale, 164 au fost abandonați în maternități, 71 în secții pediatrice și 10 în alte spitale. De asemenea, dintre cei 231 de copii eliberați din unități medicale în perioada ianuarie-martie 2017, 100 s-au reîntors la familiile lor, unul a fost plasat în familia extinsă, 7 au fost plasați împreună cu alte familii / persoane și 102 au fost plasați în îngrijire. În același timp, 6 copii au fost plasați în centre de plasament, 4 copii au fost plasați în centre de primire de urgență, iar 11 copii sunt în alte situații, potrivit ANPDCA, citat de Agerpres. Aproape 1000 de copii (977 de exacți) au fost abandonați anul trecut în spitalele din România. Mai mult de jumătate dintre aceștia au fost lăsați în maternități. 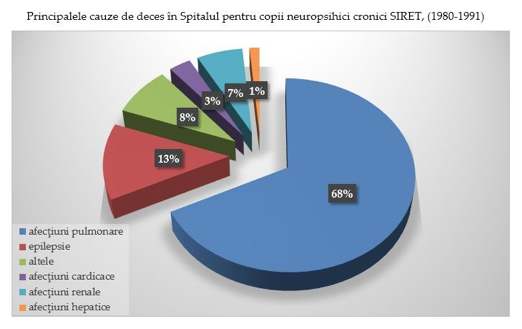 Acest lucru rezultă din datele centralizate de Autoritatea Națională pentru Protecția Drepturilor Copilului și Adopție (ANPDCA). This EPIC policy memo, Tackling child poverty and social exclusion in the EU: How EU funding mechanisms can help, provides an overview of the various funding mechanisms available at EU level and how they can be used by Member States and NGOs to fund initiatives to help all children reach their potential. Child poverty still remains a challenge across many EU countries. The latest Eurostat figures show that 26.4% of children in the EU were at risk of or experiencing poverty or social exclusion, ranging from 13.8% of young people aged 17 years or younger in Denmark, to 49.2 % of the same age group in Romania. The European Commission Recommendation of February 2013 on ‘Investing in Children: breaking the cycle of disadvantage’ sets out expectations for the provision of services to children and recommends that Member States ‘mobilise relevant EU financial instruments’ in order to maximise available funding for child-centred initiatives. Nonetheless, in 2015 the European Parliament noted that ‘the majority of Member States so far have given little attention to using EU structural funds to fight the alarming and still growing rates of poverty among children in the EU and promote their social inclusion and general well-being’, and recommended greater emphasis on the use of the European Structural and Investment Funds (ESIF) to support implementation of the Recommendation. In addition to providing an overview of the main funding sources, the memo also provides examples of the use of funding streams in different Member States and links to the managing authorities for Member States. EPIC also provides a wide range of content focused on tackling childhood disadvantage, including a collection of Evidence-Based Practices from across Member States. EPIC’s Country Profiles, available in English, French and German, also provide an overview of measures taken in each Member State to support investment in children, including key data on childhood poverty and disadvantage and innovative policy initiatives. In Romania, support is provided to parents who return to work earlier than the allotted leave. There are several day care centres for their children; however, there are not enough places available. Children have access to health and education services, and they are involved in decisions that can affect their lives, as outlined in Romanian legislation. The National Strategy on the Protection and Promotion of Children’s Rights 2014–2020 has policies relating to vulnerable children, such as Roma, children with disabilities, abused or exploted children and children separated by their families. Eurostat data for 2015 indicate that 9.4% of Romanian children under 3 years old accessed formal childcare, which is much lower than the EU average (30.3%). Of children aged between 3 years old and minimum compulsory school age, 58.2% accessed formal childcare (EU average is 83.3%). According to a report from 2017 on parental leave, up to 24 months can be taken as paid parental leave and a minimum 1063 RON per month (around €231) is available. If a parent has a child with a disability, up to 3 years can be taken. It is mandatory for parents to share 1 month of parental leave from the total period of parental leave allowed. It means that if the mother has taken parental leave, it is mandatory for the father to take one month of parental leave. The Government gives an incentive (531 RON, around €115 per month up to when the child is 3 years old, or up to 4 years old for children with a disability) to parents who return to work earlier than the full parental leave. Several early care and education centres exist in Bucharest for children (aged 0–3 years old) of parents who return to work. This is due to a project of Bucharest General Directorates for Social Assistance and Child Protection and is co-financed by the Sectoral Operational Programme Human Resources Development 2007–2013. However, the number of such centres that exist in other parts of Romania is small or non-existent. Romanian children have access to free health services and children younger than 1 year old can receive home visits from doctors. This is also the case for children aged 0–18 years old with contagious diseases, according to the Health Reform Law 95/2006. The Ministry of Health offers preventive medical care that is available to children via school doctors or GPs (Law No 95 from 14 April 2006). In 2014, social protection benefits for families and children were 1.2% of the country’s GDP. The child protection services offer day care, family services and residential services. Institutions responsible for children’s rights function at three levels, namely the National Authority for the Protection of the Rights of the Child and Adoption governed by the Ministry of Labour, Family, Social Protection and the Elderly (central level), General Directorates for Social Assistance and Child Protection (county level) and Public Services for Social Assistance (local level). The Romanian Law of education allows for free education for every child. Parents receive monthly allowances for each child (Law no. 61/1993): for children aged 0–2 years they receive 200 lei/month (€43) and for children aged 2–18 years old receive 84 lei/month (€18). The National Strategy on Social Inclusion and Poverty Reduction 2015–2020 aims to improve the education and health system for children and vulnerable groups. The existing legislation also takes into account the children of parents who migrated to work in other countries (Decision No. 691/2015). In this case, if one or both parents of a child have migrated to work in another country, the child is identified and representatives of Social assistance services visit them once every 2 months for the first 6 months and then regularly each trimester in order to assess their school performance, health and social adjustment. Children whose parents work abroad have access to a school counsellor in case they have difficulties with their academic achievements, or to mental health services (as required by an agent from the public service of social assistance). In Romania, the Government integrates children without parental care into foster care in family settings, instead of institutions. In 2016, 49.2% of Romanian children and adolescents under 18 years old were at risk of poverty. Children are involved in decisions regarding their education via the National Students Council, which has 45 members representing each county from Romania according to the National Education Law no.1 / 2011 of the Ministry of National Education and Research. According to the National Strategy on the Protection and Promotion of Children’s Rights 2014–2020, efforts are being made in order to improve children’s and teachers’ knowledge regarding children’s rights. Furthermore, the charity Save the Children launched the campaign ‘We also have rights’, where children (kindergarten, schools and high schools) and teachers are informed about children’s rights and responsibilities. In this project, children have a Children’s National forum where children can express their opinions regarding the manner in which their rights are understood and respected and they also meet with representatives from the authorities. Children dropping out of school is a major problem in Romania. The National Strategy for the Protection and Promotion of Child Rights for 2014–2020 contains several measures for those who have abandoned school (’The second chance program’). Other financial support comes from campaigns such as the National program for social protection ‘High school money’ (180 lei/month, around €39) or money for writing materials. In order to stimulate children’s access to education at an early age, parents of vulnerable children receive social vouchers to buy food, clothes and writing materials if their children go to the kindergarten on a daily basis (Law no. 248/2015). The information in the country profile was last updated in November 2017. According to the National Strategy for 2014–2020, the Health Ministry aims to develop more community-based health services for vulnerable people, for example community medical nurses. Sanitary mediators that were developed for Roma communities to community centres focused on primary, secondary and tertiary prevention will be correlated with national strategies that aim to reduce poverty. The strategy is also focused on the development of telemedicine for people from rural areas. The Doctors’ Caravan is a project implemented by NGOs that provides medical services to vulnerable adults and children from rural communities. Other programs implemented by NGOs include a mobile dental treatment for vulnerable children and a non-stop medical advice phone line ‘PEDITEL’. Recently, UNICEF implemented the project Minimum Package of Services, which aims to offer high quality services (health, social protection, education) to vulnerable children. In 2017 the Romanian Government approved the Children’s Advocate as a distinct structure of People’s Advocate, which focuses on protecting children’s rights (modifying Law no.35/1997). The Romanian Federation of Non-governmental Organizations writes an open letter to draw attention to the importance of the Children’s Ombudsman in Romania, an institution that would guarantee effective protection for the rights of the child. 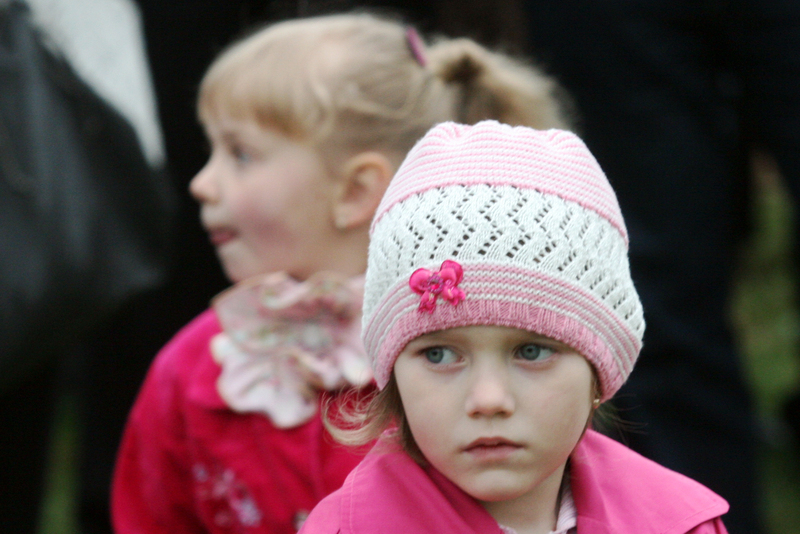 The number of children in Romania is drastically decreasing: on the 1st of January, 2016, the number of children was 3976,5, 23,4 thousand lower compared to the previous year. 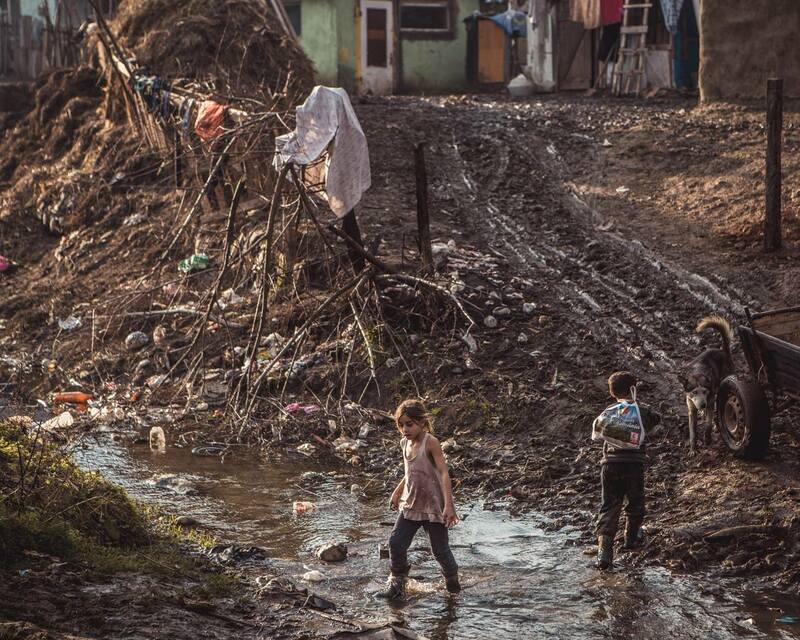 Amongst these children 51% live in poverty and only one in 3 disadvantaged children finish middle school, 57.279 children in the social protection system, over 44 thousand of primary school age and over 48 thousand children or middle school are found outside the education system, over 2.700 children with severe disabilities aged between 7 and 10 do not go to school, 2 children on average are victims of some form of abuse every hour by over 20.000 children, amongst who 15.000 have been condemned. The Federation of Child Protection NGOs FONPC, a common voice of 87 active organisations in the domain of welfare and protection of children draws attention to the importance of the Children’s Ombudsman in Romania as an institution that would guarantee effective protection for the rights of the child. The UN Convention for the Rights of the Child, an international convention signed and ratified by Romania back in 1990 which set the foundation for the country’s child protection reform starting in 1997 mentions in its Article 3, Al. 1: “The interests of the child will prevail in all actions that affect children, undertaken by the public or private social work institutions, by the judiciary bodies, administrative authorities or legislative organs”. Given the fact that we are referring to the future of our country and the rights of a vulnerable category of individuals, the rights of children must be prioritized in Romania. In this context, we ask you to support the establishment of a Children’s Ombudsman institution in Romania, guaranteeing verification and monitoring mechanisms for the implementation of the UNCRC requirements regarding the rights of the child and that would protect the superior interest of the child, even from state abuse at times. The legislative proposal to establish the Children’s Ombudsman institution as an autonomous public authority, independent from any other public authority, which governs the respect for children’s rights as defined in the Romanian Constitution, the UNCRC and other legal provisions, can be found in Romania’s Senate. According to ENOC standards, the Children’s Ombudsman institution has attributions and missions that exceed the sphere of competence of the current People’s Ombudsman, which is why Romania lacks other adequate structures that fully correspond to the function of monitoring the rights and protection of children against violence, neglect, abuse and exploitation, as well as against social exclusion and discrimination. “14. The Committee recommends that, keeping its general commentary nr.2 (2002) with regards to the role of independent national institutions for the protection of human rights from the domain of promoting and protecting children’s rights, but also its previous recommendations, the state party ought to revise the statute and efficiency of the People’s Lawyer institution in the domain of the promotion and protection of children’s rights, equally taking into consideration the criteria retrieved in the Paris Principles. This body has to benefit from all human and financial resources necessary for fulfilling its mandate in an effective and significant manner, especially in terms of capacity to receive and examine complaints from/on behalf of children related to the violation of their rights. The Committee recommends that, in accordance with the previous recommendations, the state party continues to invest effort into the creation of an independent Children’s Lawyer institution”. In the report finalized following Romania’s visit back in 2015, UN Rapporteur Philip Alston claimed that there is a need for a Children’s Commissary-type institution, a body that would have a clear mandate and the power to protect the rights of children, whilst also benefiting from adequate resources to promote and protect the rights of the child, as well as independence. At the European level the Child’s Ombudsman or the Commissioner for the Rights of the Child are identical institutions, with names varying from country to country. The Federation of Non-governmental Child Organizations has been advocating for the establishment of the Children’s Ombudsman institution in Romania for more than 10 years. We strongly believe that you will support the Children’s Ombudsman and the creation of an independent mechanism for the monitoring of child’s rights which will guarantee respect for all children’s rights and will protect them from abuse of all kinds. 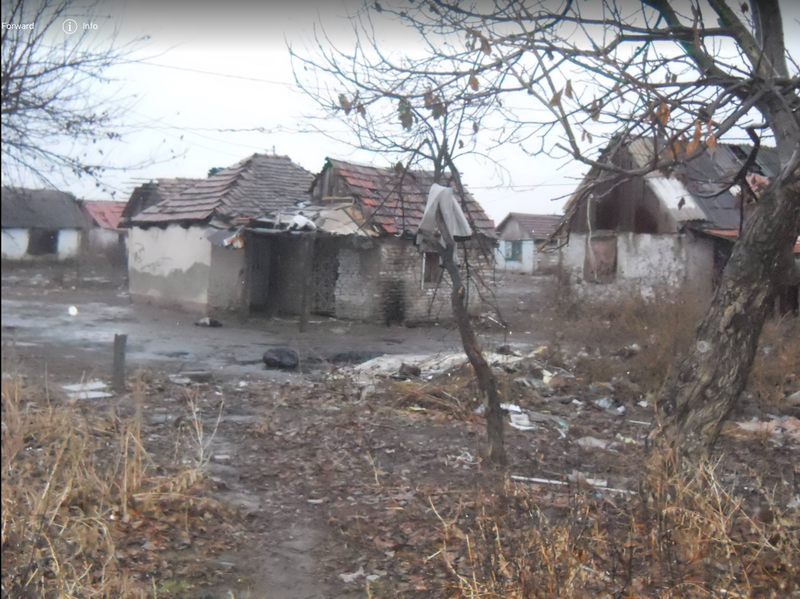 Cursed Romania; Nearly Ten Thousand Children Abandoned in the Past year. Nearly 10,000 children were abandoned by their parents in the last year, the number being lower compared to the previous year. The main cause of this phenomenon is poverty, according to statistics provided by the National Authority for the Protection of Child’s Rights and Adoption (ANPDCA). 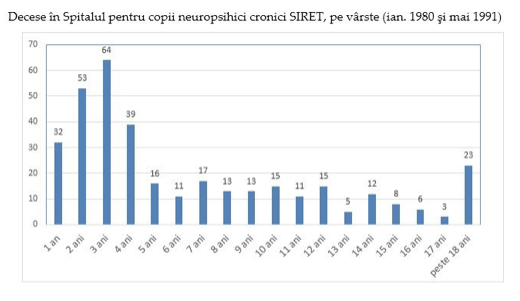 According to the ANPDCA response at a MEDIAFAX request, data provided by the General Directorates for Social Assistance and Child Protection in the counties / sectors of Bucharest Municipality which have been centralized on a quarterly basis, show that between July 2016 and June 2017 a total of 9,614 children were separated from their families and entered into the special protection system (placement with relatives up to 4th grade, placement with other families / persons, placement in foster care and placement in residential services). The same source shows that between July 2015 and June 2016, a total of 10,196 children entered the special protection system. According to data available at ANPDCA, most of the children in the special protection system come from poor or at-risk families living in precarious housing conditions. Of the total number of children in the special protection system, about 36% had poverty as a structural risk factor as the main cause of child’s separation from the family of the child child. The mentioned source states that about 32% of the children in the special protection system were abandoned by parents, and 10% of the children in the special protection system were taken over by the care system from their relatives. 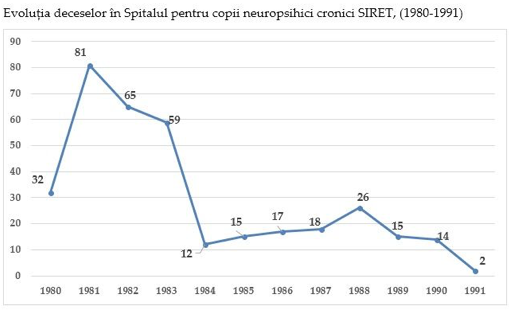 According to the same source, “the counties with the highest number of children entering the special protection system were Iaşi, Vaslui, Timiş, Constanţa, Buzău”. On the opposite side, says ANPDCA, are the counties of Ilfov, Gorj, and Sectors 3, 5 and 6 of Bucharest.